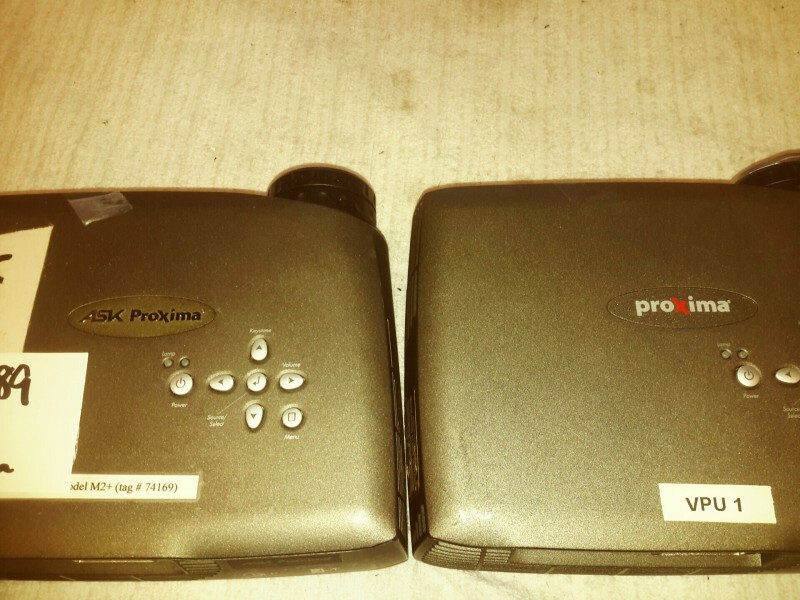 Description: Proxima projectors - 2 each. 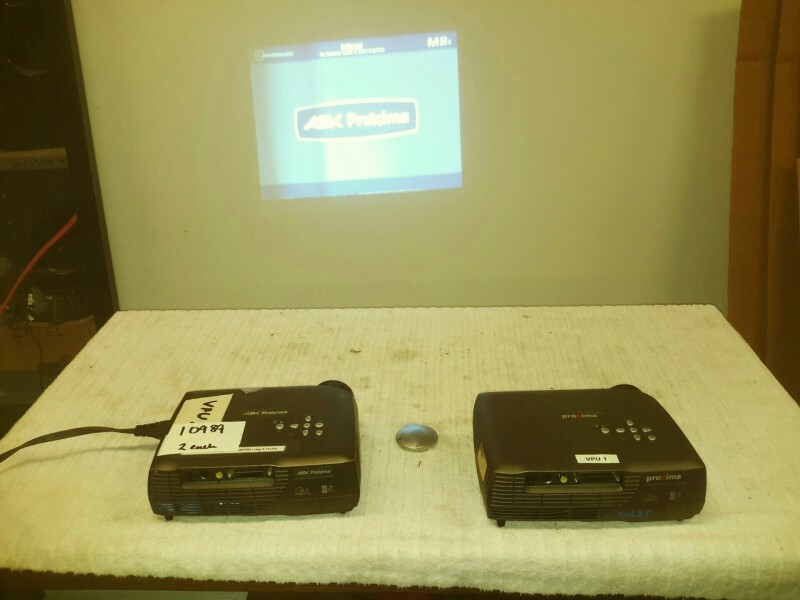 Both put out an image. 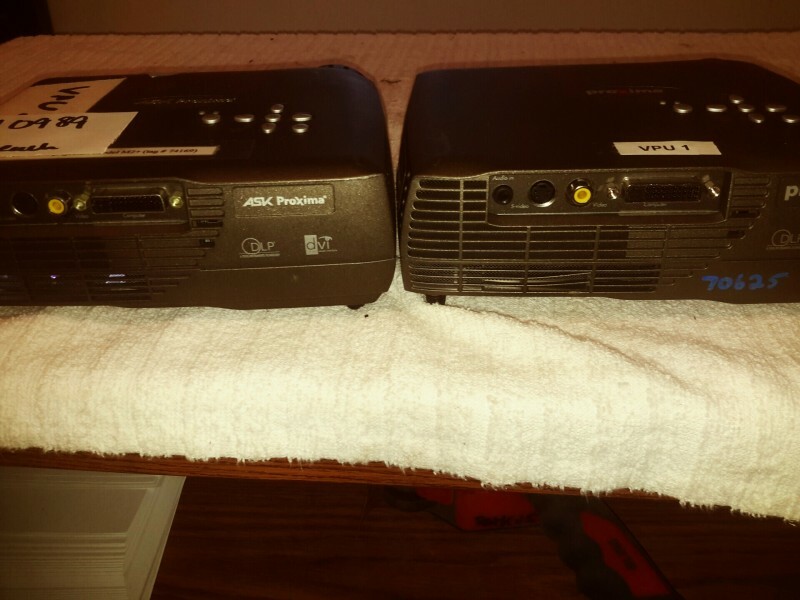 One of two gets hot and will need some work.